Matthew: Alright, let’s have a look at some of these zones. Let’s start with the Bilefen. 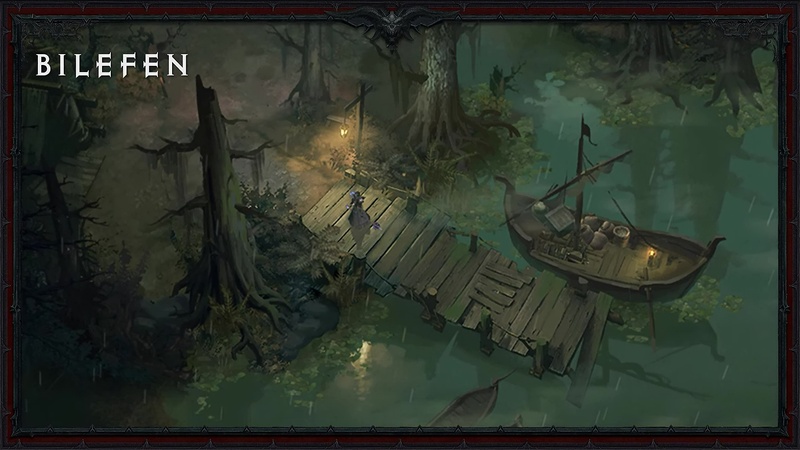 The Bilefen is filled with everything to ruin your day from… mostly abandoned, ancient, semihaunted temples to giant mosquitoes, maggots, Fallen, and over-aggressive Fetish monsters. Kris: Here you’ll help the leader of Port Justinian deal with that fetish problem, meet a mysterious wizard and help a scholar in distress. 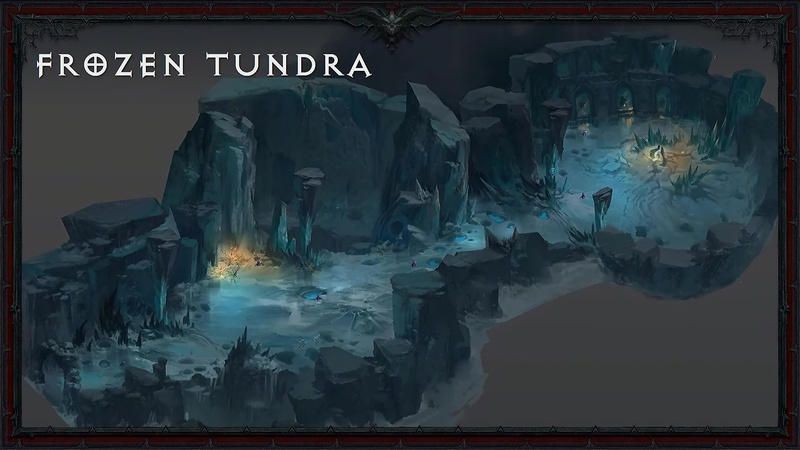 Matthew: Now Sanctuary is huge, and you’re going to be going to some new zones such as the Bilefen; and then also returning favorites, such as the Frozen Tundra. 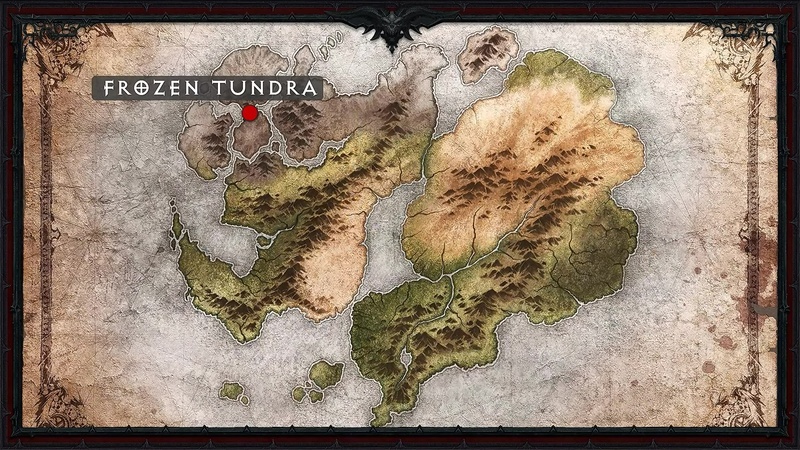 Kris: The Frozen Tundra is located next to Mount Arreat, close to the location where Tyrael shattered the Worldstone. Matthew: The devastation of the Worldstone and of Mount Arreat is merely 5 years old. It is a fresh scar on this land and on the Barbarian People. Now, the Frozen Tundra is a harsh land, surviving here is a struggle against nature in the very best of times and these will not be the best of times. Far from it. From the Frozen Tundra, we go to the desert. We go to Zoltun Kulle’s library. This ancient repository of knowledge is replete with powerful artifacts and the many traps that are there to keep them out of prying hands. Matthew: Do you think it’s going to be the real Zoltun Kulle there? Matthew: Who do you think? Kris: Some kind of imposter? Matthew: An imposter Zoltun Kulle? Really? You think so? I don’t think so. Wyatt? Matthew: In the in the library? Is this. Haven’t we been here before? I feel like we’ve been here before. 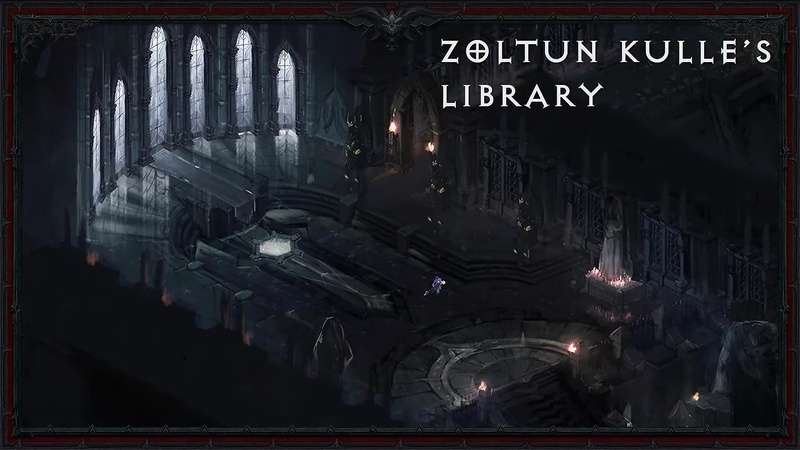 Wyatt: These are not the same arc library as we visited in Diablo III. This is a new area. 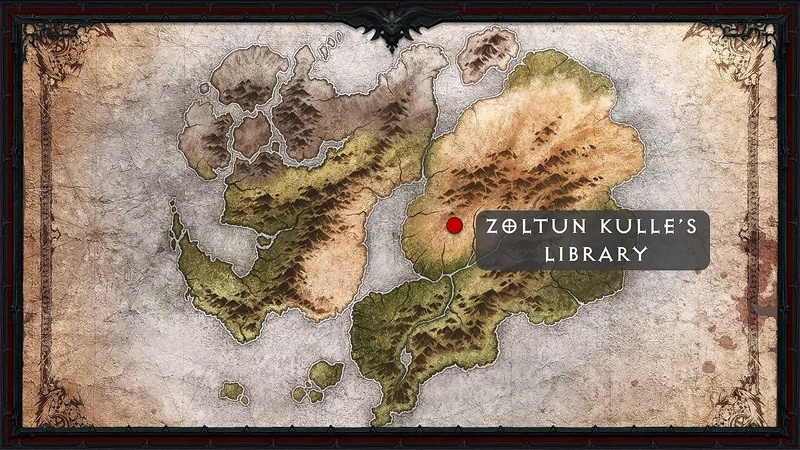 Zoltun Kulle actually had a number of archive stashed across all of Sanctuary. And this is a previously unvisited one. Matthew: So what you’re saying is that Zoltun Kulle is some sort of magical hoarder. Wyatt: Alright, he has archives all over the place. 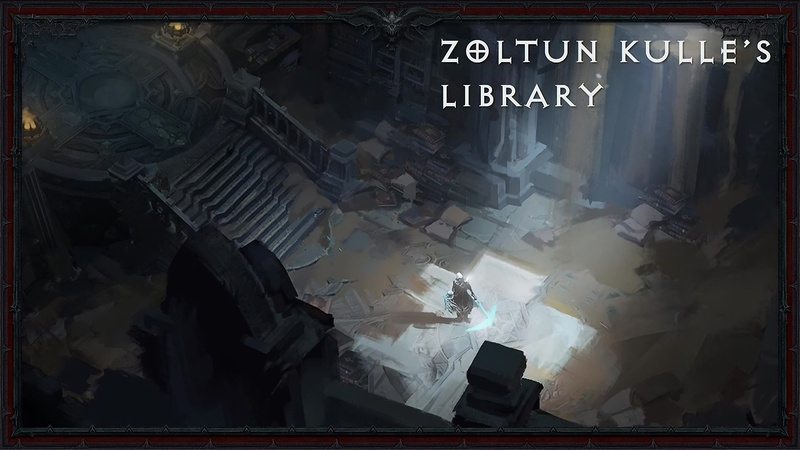 Matthew: Alright, the man mage himself is not going to be present within this library. However, as is always the case with him, Zoltun Kulle has left behind suitably dangerous defenses. In fact, he has left behind the kind of Defenses that only a true egomaniac would employ. Kris: And caught in the middle of it all is a family of unfortunate thieves who thought they could make a good score, and some cultist trying to get their hands on a Worldstone shard. It’s a recipe for disaster. So the perfect place for you to vacation. Kris: When you come for a Worldstone shard, but you stay because everything is trying to kill you. 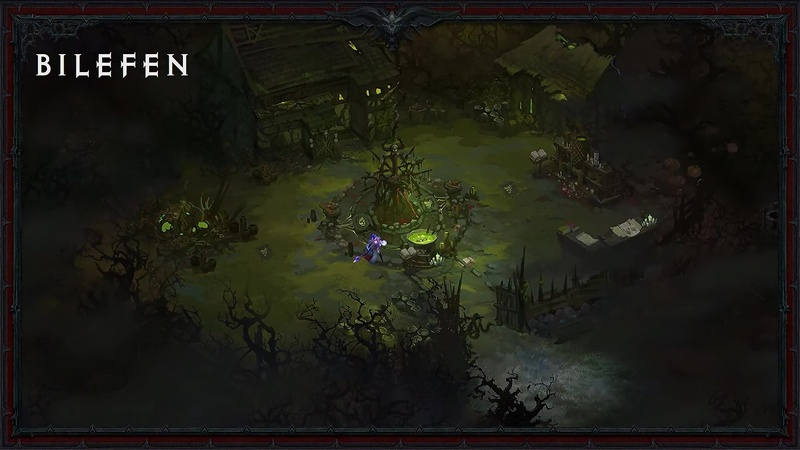 Wyatt: Alright, so these are the shared public outdoor zones that you’ll be able to see in Diablo Immortal. As you wander the outdoor world, you have the opportunity to come across other players. 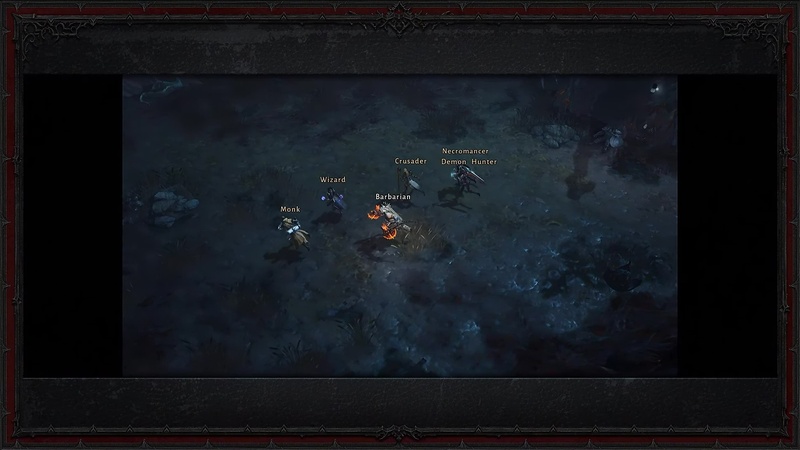 These types of shared organic interactions change the texture of your game. 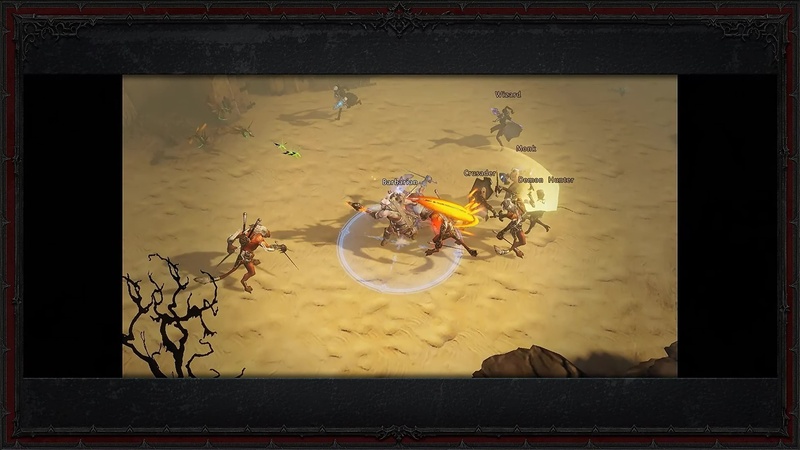 Matthew: World of Warcraft players would probably remember the first time they fought Hogger. 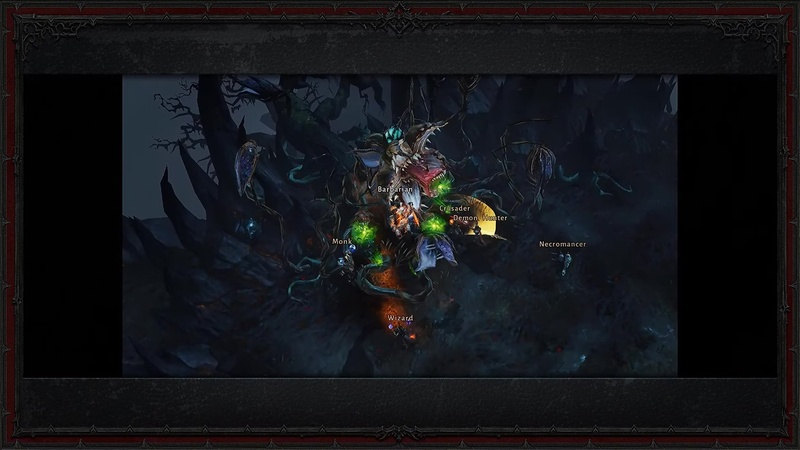 Matthew: You got in over your head, you probably died a few times, but then some other players showed up, you joined forces, Hogger died, you got sweet loot, and you made some new friends along the way. 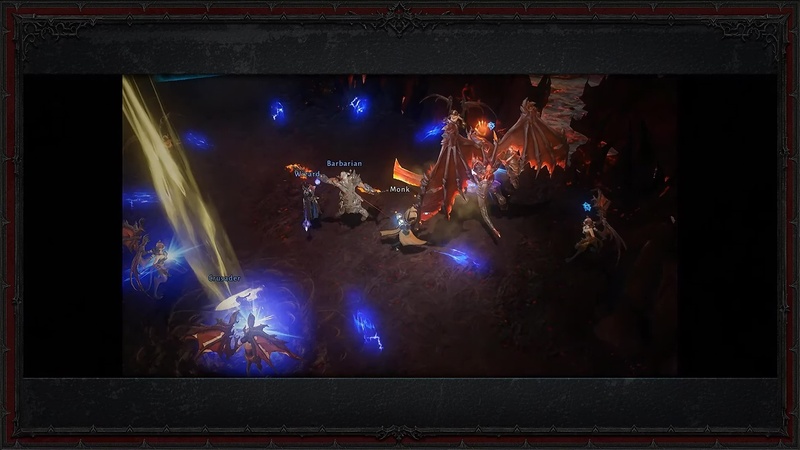 That’s the experience you want for Diablo Immortal.